Chester Weatherby has a strong track record of using innovative pedagogy to engage students in the classroom, whether it is in a large introductory calculus class, or much smaller third and fourth year courses. He also has a demonstrated commitment for supporting students by going out of his way to make himself available to help students both during class and outside of class time. 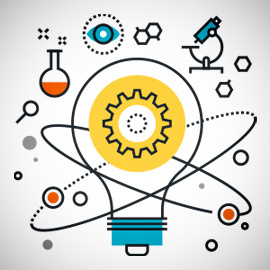 He has a passion for helping students succeed, and actively seeks to employ and to develop evidence-based innovative teaching practices to advance student learning. Indeed, he is undertaking scholarly work to explore the effectiveness of some of the practices he has initiated in the classroom and has presented preliminary results at conferences. 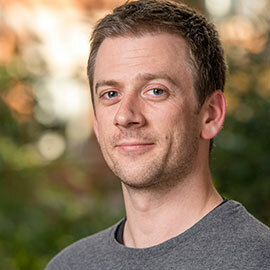 Weatherby has also taken a keen interest in student success beyond his own courses: he is involved in initiatives both at the departmental level and the Faculty to address student success in math and science. 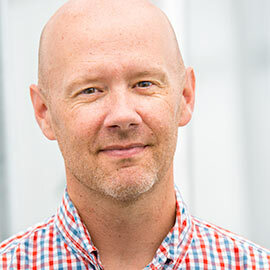 Many Laurier Science students know Matthew Smith as the instructor for introductory biology (BI110), a large course where he engages them through real-world applications of the course content, thereby creating an excellent learning environment for his students. Smith is known for his commitment to mentoring students in research, and he views teaching and research as highly interdependent. He has mentored 14 graduate students, close to 30 honours thesis students, as well as numerous undergraduate research assistants and volunteers. He has even hosted six high school students in his lab. Students speak highly of the strong mentorship and support that Smith provides during their time in his lab. He has also made important contributions to course development, having created and taught six different senior level courses focusing on molecular biology and plant biochemistry. Three of these courses had lab components designed to provide students with experience in modern molecular biology lab techniques – labs that he developed and taught, and which he counts among his most rewarding teaching experiences.